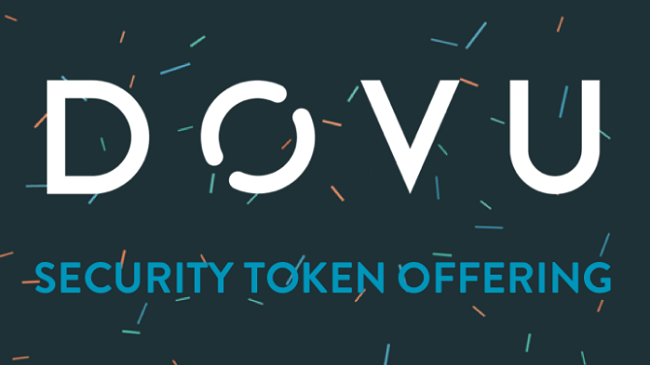 Blockchain startup DOVU has announced its plans to schedule a Security Token Offering (STO) in partnership with TokenMarket in April 2019. In its official release, the company said that it is seeking to raise £2 million in the form of a sale of tokenised equity, which will support further development of its platform and accelerate user growth. DOVU had previously raised £4.7 million in a token sale in October 2017. The company was recently in news for its partnership with Go Ahead, and the recent launch of its consumer wallet. "We've had great success launching our public wallet where users are earning DOV tokens, as well as signing a number of partner deals which will drive our platform forward. Given our strong position, we feel now is the right time to offer equity ownership to our growing community,” Irfon Watkins, Founder and CEO, DOVU, said. “TokenMarket was crucial in ensuring that our first raise in 2017 was a success and we are pleased to be working with Ransu and Mikko's dedicated team once again to run our STO." DOVU has also raised seed funding from Jaguar-Land Rover's investment subsidiary, InMotion Ventures and has been supported by Creative England, a scheme backed by the UK Government's 'Public Growth Fund'. DOVU is a blockchain-powered reward platform that aims to equip the transport industry with high-quality datasets. It seeks to create a secure blockchain-based marketplace for mobility data, sourced from a large number of users, who will be incentivized to submit data to the network with DOV tokens.